Drawing on decades of experience in the production of high-efficiency manufacturing lines and assembly systems, GROB meets the best possible criteria for the development and production of innovative electromobility concepts. In acquiring DMG meccanica, the Italian specialist for winding and insertion systems for stator production, GROB further expanded its expertise and became a well-prepared partner for the series production of hybrid and electric drives in the automotive industry. Benefit from our leading edge in electromobility: Rely on the experience and technical know-how of GROB for your manufacturing line and assembly system. 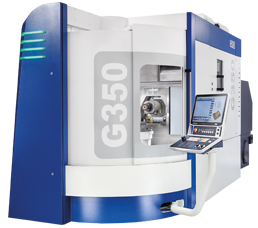 From the design to the planning to the implementation of your turn-key assembly systems: Use GROB's technical expertise for your E-machines and electric motors. New system concepts for energy storage systems: GROB supports you in the production and assembly of battery cells, modules and packs. Research at the highest level: GROB works with you to develop innovative solutions for your fuel cell assembly facility. Your partner for the powertrain of the future.